Os Coaster display plate, 12 inches, will display 4 round coasters. 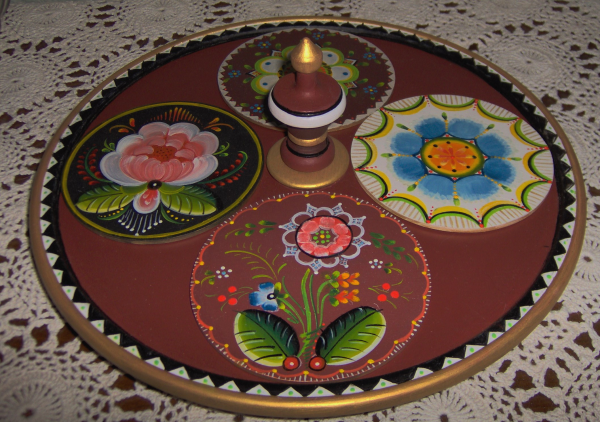 Each coaster is painted in a different Os design and the plate is accented with the commonly seen points for a border. Design packet comes with complete instructions, supply list, paint mixtures, acrylic conversion, patterns and pictures. Plate with 4 coasters and decorative knob sold separately.